Cameron (Year 9) travelled to London during the summer holidays for a ‘make a movie’ course with the Young Film Academy. Along with his group, Cameron created a short film called ‘3.31’, taking the project from storyboard to screen, acting out the parts, and filming and editing their production. A few weeks later, Cameron received the exciting news that their movie had been nominated for a Young Film Academy Award, and at the end of August, he journeyed back down south for the ceremony, where ‘3.31’ was announced as the winner! 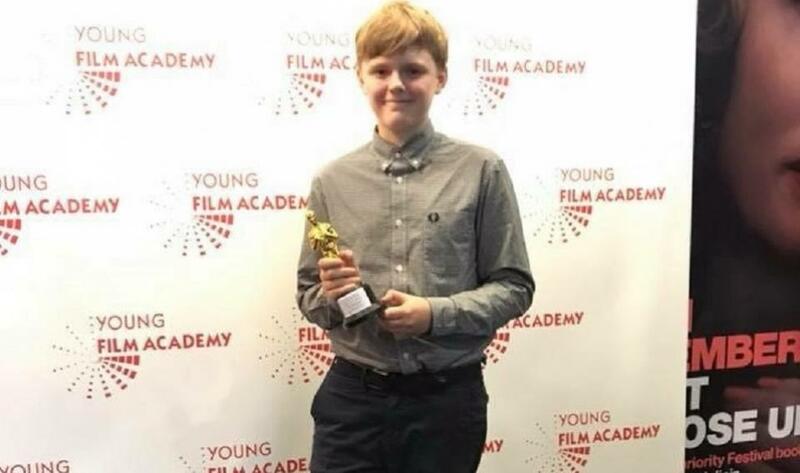 With more day courses in film-making planned at the Young Film Academy next summer, Cameron is hoping to return and continue to build on his skills. Well done Cameron! An Oscar winner in the making?